'The Matador' is the epic tale of David Fandila's quest to become the world's top-ranked bullfighter. Heart-wrenching setbacks and thrilling successes dramatize 'El Fandi's' three-year journey across Spain and Latin America and into the pages of bullfighting history. 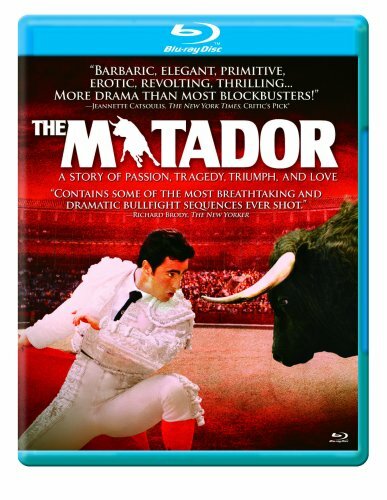 More than one man's quest for greatness, 'Matador' is a story of love -- of a son for his family, of audiences for their heroes, of a people for their cultural traditions, and of the bullfighter's paradoxical love for the majestic beast that he must kill to create his art. As David struggles to achieve his place in the pantheon of Spain's greatest bullfighters, he is confronted by those who question the place of this ancient and brutal ritual in the modern world. If you have any questions about this product by WEA Corp DVD, contact us by completing and submitting the form below. If you are looking for a specif part number, please include it with your message.